He was born and grew up in Sauk Rapids, Minnesota. He moved to Little Falls, Minnesota in 1950 when he was appointed to the District Court. He moved to St. Paul, Minnesota in June 1962. He ran unsuccessfully for the Minnesota House of Representatives in the 1948 election. He lost to John T. Kosloske by 61 votes. He didn't contest the election. 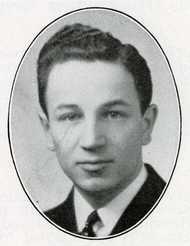 He was the House chief author of the 1945 Area Vocational School bill. 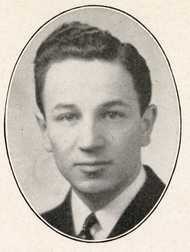 He became a Lecturer at the University of Minnesota Law School in 1950. He died from a heart attack after battling pneumonia in a hospital. His funeral was held at Pilgrim Lutheran Church in St. Paul, Minnesota. He was a member of Zion Lutheran Church when he lived in Little Falls, Minnesota. He was a member of Trinity Lutheran Church when he lived in Sauk Rapids. He was a member of Pilgrim Lutheran Church when he lived in St. Paul. Religion provided by newspaper articles. Session Notes: He was released from the United States Army in order to serve in the 1945 session. Session Notes: He resigned after the regular session in order to serve in the United States Army. His official term end date is uncertain. The date listed is his birthday since his Star Tribune obituary says he was 29 when he resigned to join the Army. Rogosheske, W.F. Campaign Letter, 1948. - Salutation was printed as Dead Friend rather than Dear Friend. Rogosheske, Mark. "Memoirs: Legislative Career, Area Vocational School Beginnings, Metropolitan Airports Commission, District Court Appointment, and Supreme Court Appointment." "Longtime Judge Walter Rogosheske Dies (Obituary)." Star Tribune, May 16, 1998. - This article indicates that he lost his reelection bid in 1948 by 12 votes. The election results show it was by 61 votes. Walter Rogosheske, Former Minnesota Justice, Dies at 83 (Obituary)." St. Paul Pioneer Press, May 16, 1998. Minnesota Supreme Court. "Walter F. Rogosheske." Biographical Sketches of Justices of the Minnesota Supreme Court and Judges of the Minnesota Court of Appeals from Territorial Days to 1990, St. Paul, Minnesota: West Publishing Company, 1990, p. 30. "Rogosheske is First Little Falls Resident to Become Supreme Court Justice." Little Falls Daily Transcript, January 23, 1962. "Rogosheske Named to Supreme Court Bench." St. Cloud Daily Times, January 23, 1962. G.W.J. "Rogosheske to High Court." Little Falls Daily Transcript, January 23, 1962, p. 2. "New District Judge May Be Named Soon." St. Cloud Daily Times?, January, 1962. Clark, Kathy. "Old Friends Happy at 'Right Choice.'" St. Cloud Daily Times?, January, 1962. United Veterans' Committee. Gestapo Campaign Brochure, 1948. "Reporters Pick Top 20. 'Most Valuable' Legislators Named." Minneapolis Star, April 28, 1947, p. 14. "Rogosheski [sic] and Bensen Merge. Benton County Attorney Announces His Partnership with New Graduate." St. Cloud Sentinel, February 8, 1940.